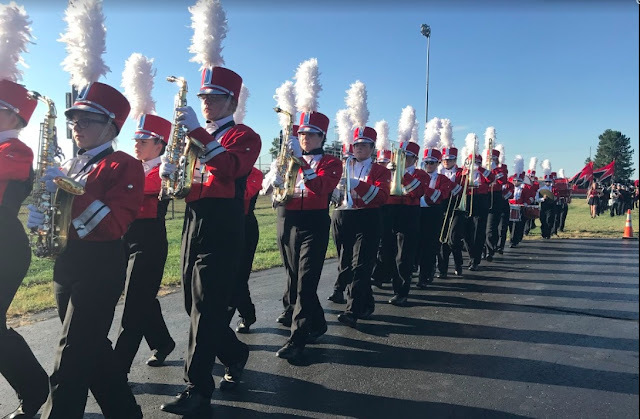 The FMB will be performing at the Northwestern Band Fest in Springfield this Saturday. The contest is slated to begin at 5PM, but I have received no detailed information from the host yet. I will set the itinerary as soon as I have more news. Tentatively, we will be rehearsing around 2 PM and departing shortly thereafter, but that's all I can say as of now. I do not know what our specific performance time is, nor how many bands are attending or what time awards are. Check back soon and I hope to have the scoop!